Forget chocolate bunnies and jelly beans. If you are tired of the same old stuff, why not fill this year's Easter baskets with fun, spring-themed toys and books? 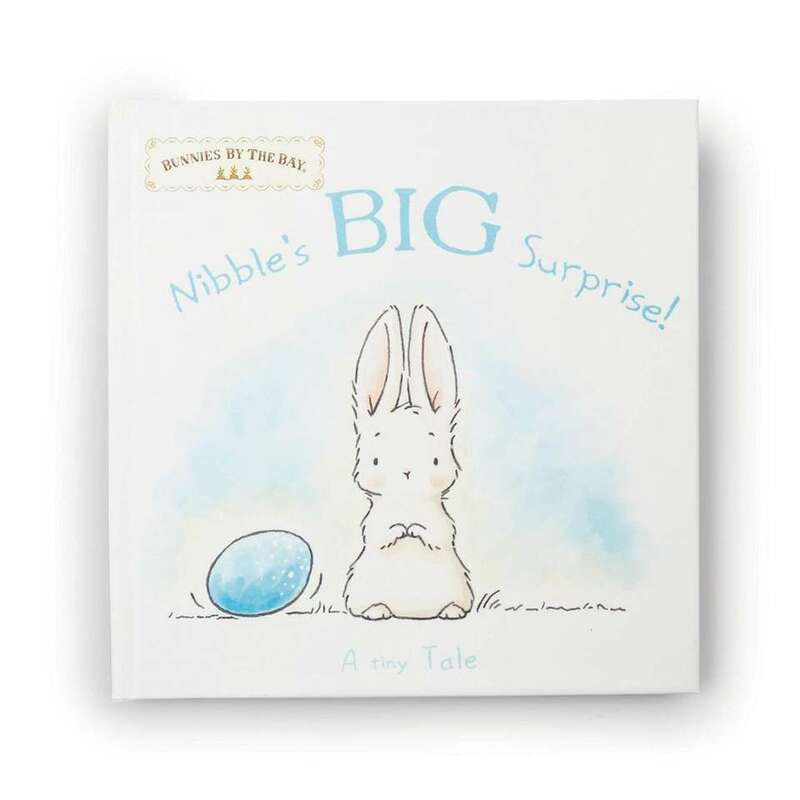 "The Easter Bunny has many favorites other than sweets and treats," said Laurie Schacht, who lives in Woodmere and is co-publisher of "The Toy Insider," a consumer guide for parents. "A little sugar is OK, but fill the baskets with toys and books that keep kids engaged. 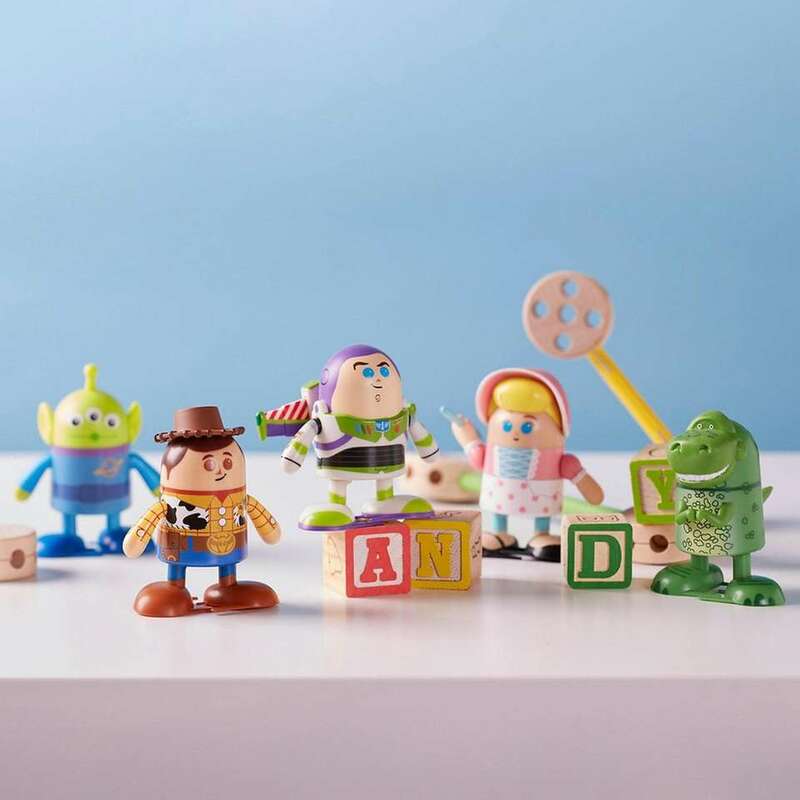 Mix it up with their favorite characters, toys that teach and classic creative play items." 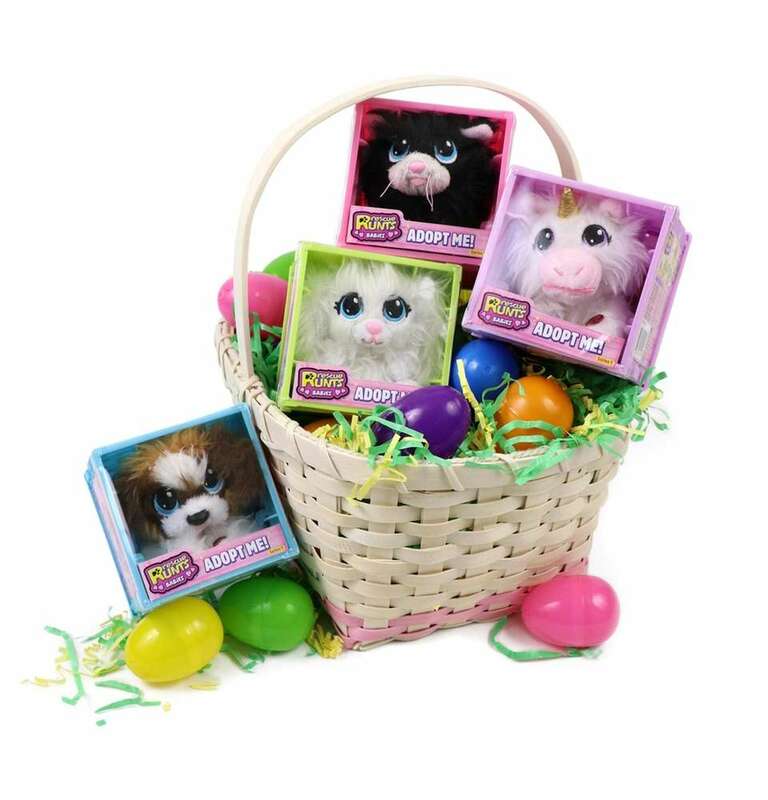 Take a look at our fun suggestions for the Easter basket this year. 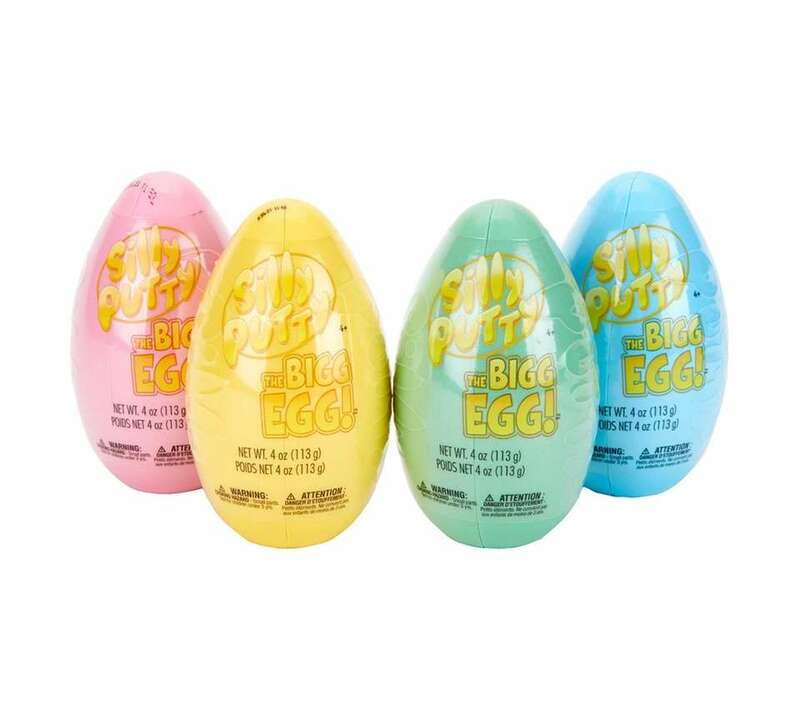 Kids can stretch, bounce and build using a quarter of a pound of Silly Putty that comes in each egg. The putty will be a surprise shade, coming in one of four pastel colors; $6.49 at shop.crayola.com. These plush 6-inch tall llamas come in a cute, non-removable outfit. 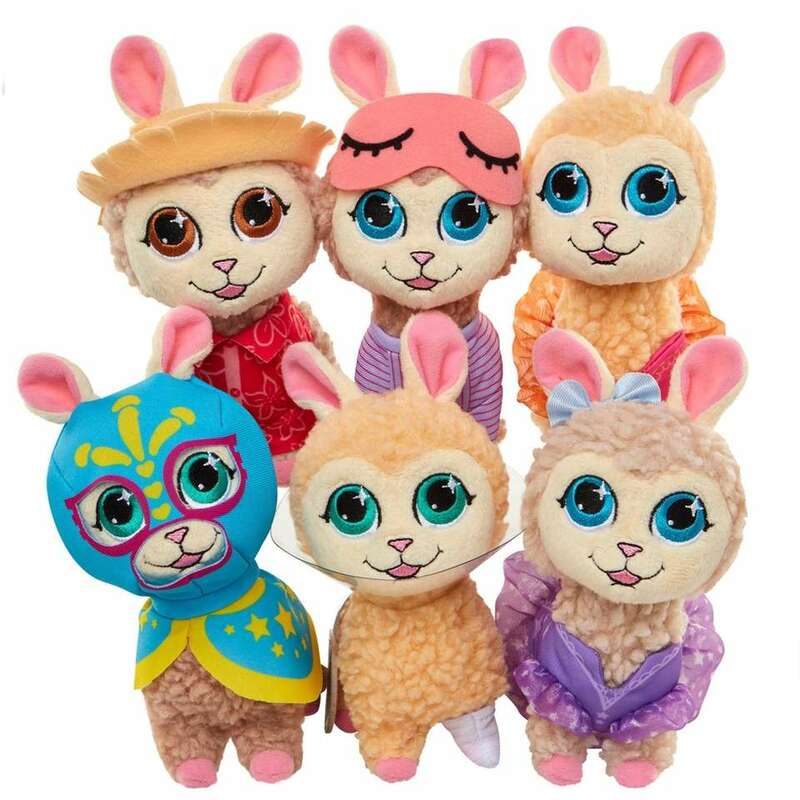 There are six to collect, including Fairy Llama, Dreamy Llama, Bahama Llama and more. For ages 4 and older; $7.99 at jakks.com. Funko Pop! put a new spin on an Easter classic by making a Peep collectible. 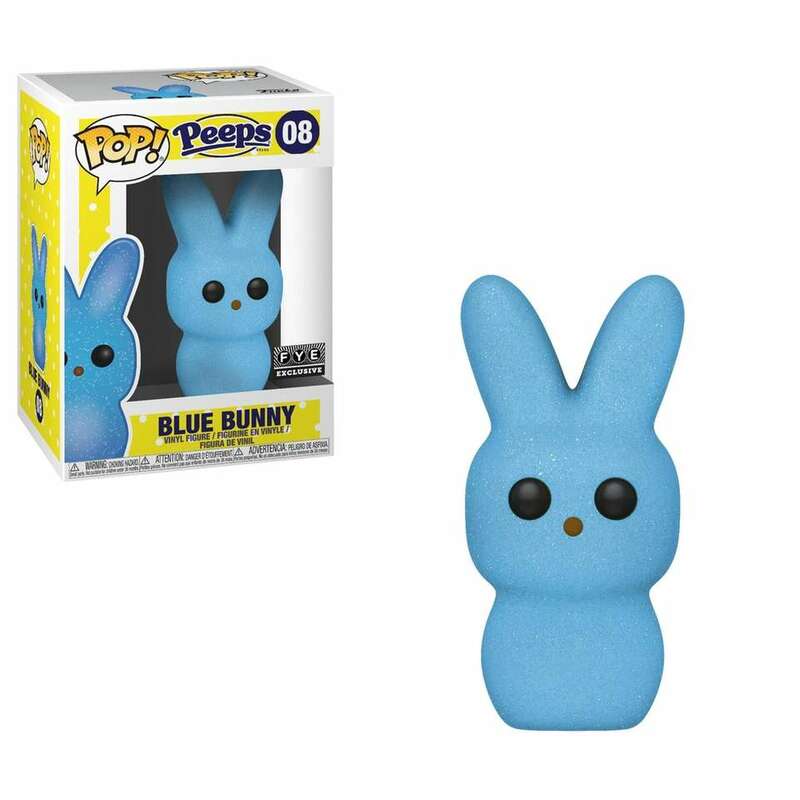 The vinyl Peeps are available in blue, pink, yellow and purple; $10.90 at boxlunch.com. The Bluetooth portable speaker plays continueous tunes for up to four hours and comes with a selfie remote. My Audio Pet will also play fun games using the free, interactive Hide & Speak app. 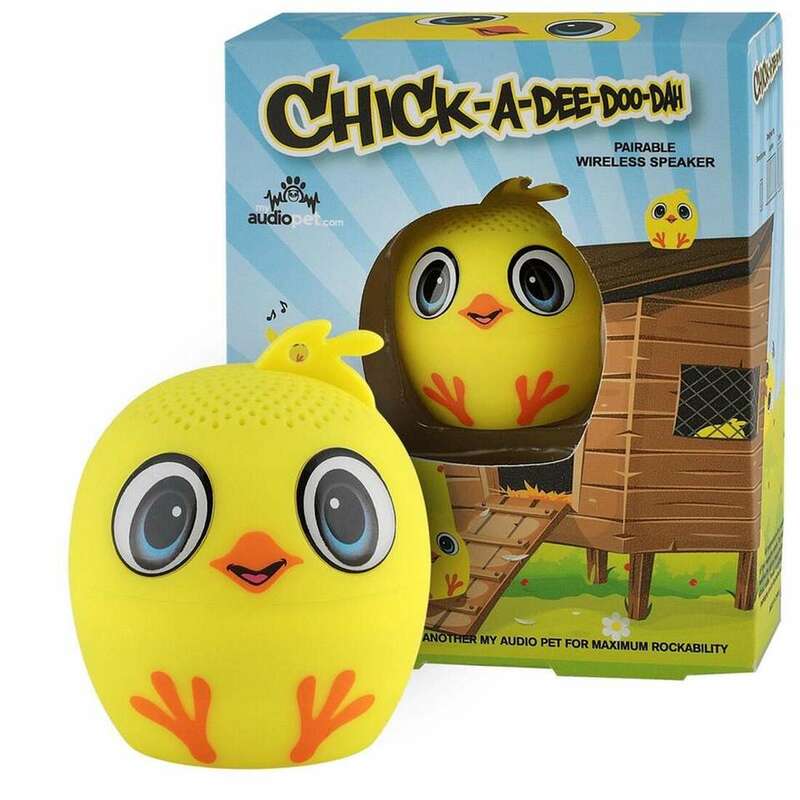 Choose from a variety of animals; $24.99 at myaudiopet.com. 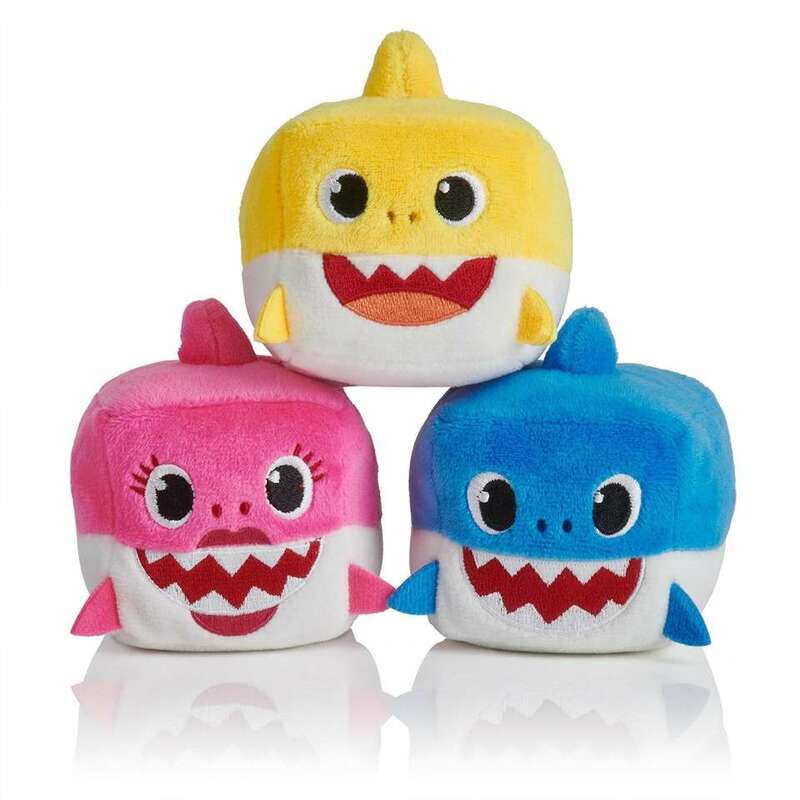 Cubed stackable plushies that when squeezed sing the popular Baby Shark song. Choose from Mommy Shark, Daddy Shark or Baby Shark. For ages 2 and older; $7.99 at wowwee.com. 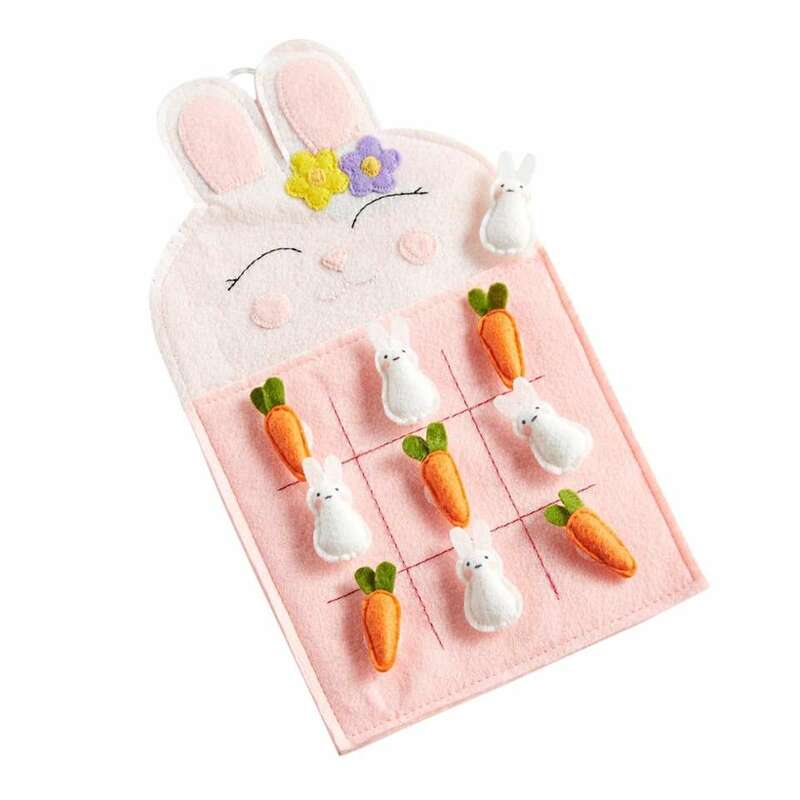 Kids can play tic-tack-toe on this plush board using bunnies or carrots to play the game. For ages 3 and older; $15.99 at pier1.com. 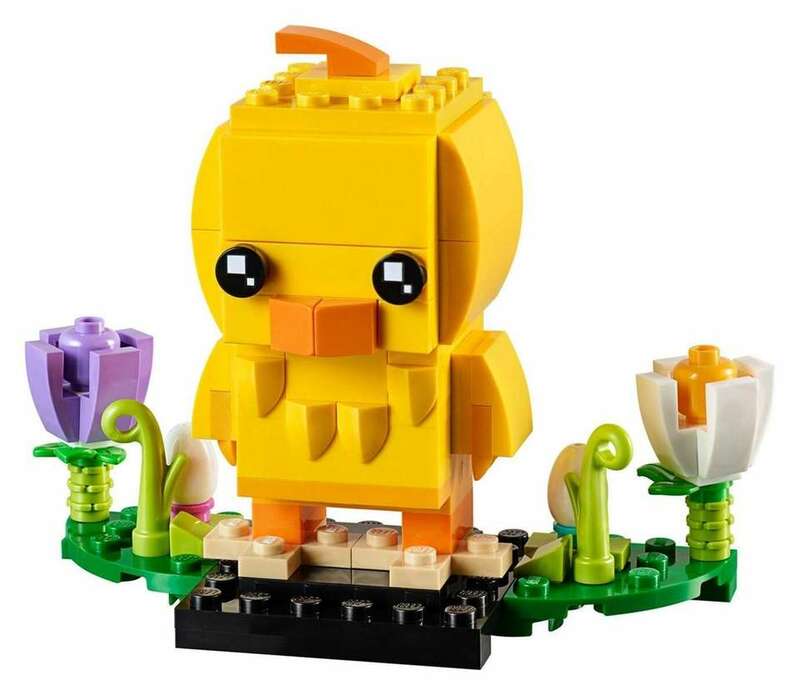 Build an Easter Chick and scene with flowers, leaves and two eggs. The set comes with 120 pieces. For ages 10 and older; $9.99 at shop.lego.com. Photo Credit: Little Kids Inc.
Made from slow-rise foam, these soft squishy toys resemble the iconic candy chick and bunny Peeps. Available in three colors; $9.99 at littlekidsinc.com. Photo Credit: Crazy Aaron Enterprises Inc.
Great for Easter baskets, these mini tins of putty comes in three different types: Fresh Grass (with glitter that looks like real grass), Cheep! Cheep! (in bright yellow glitter) and Spring Showers (light blue with sparkling crystalline glitter and deep blue shimmer); $10 at puttyworld.com. 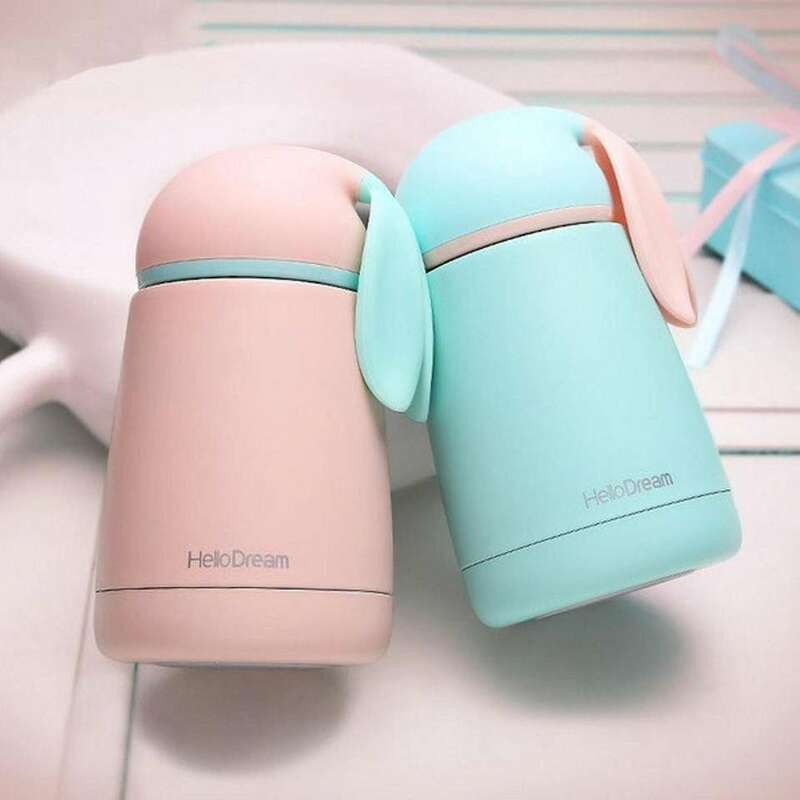 This insulated bottle comes in three pastel colors and can keep beverages hot or cold for hours; $22.99 at theapollobox.com. 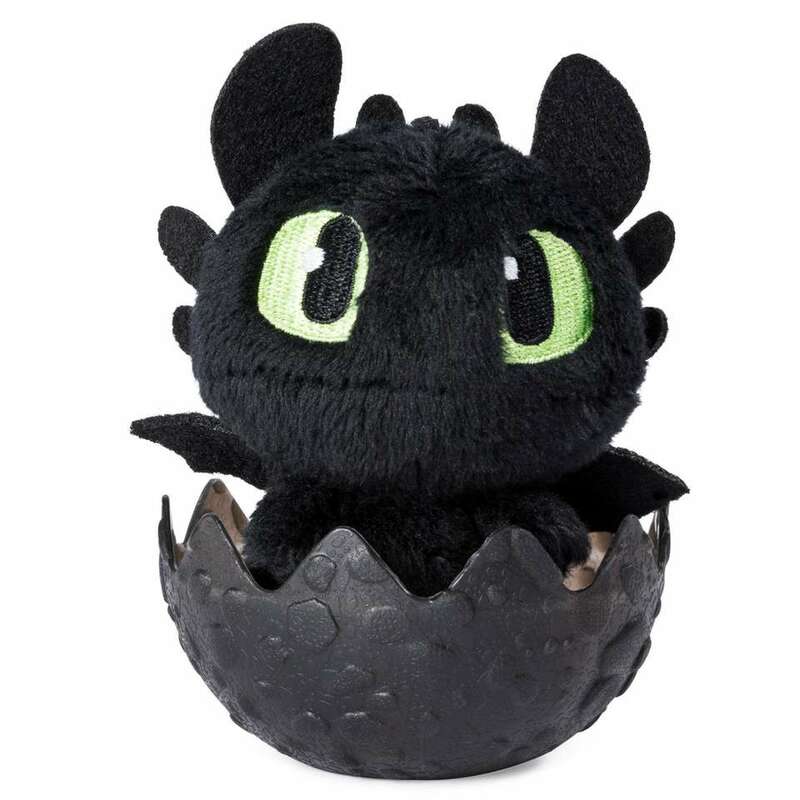 Hatch the surprise egg to find a three-inch plush baby dragon from Dream Works "How to Train Your Dragon: The Hidden World." The mystery dragon may be Toothless, Stormfly, Meatlug and more, plus each animal can rest in the bottom of the egg as a nest; $5.99 at shop.spinmaster.com. After opening, press the button and a colorful little critter will bounce out of its packaging. Collect all 12, which include a puppy, bunny, unicorn, rainbow hedgehog and more. Each plush comes in one of four colorful homes; $7.99 at littletikes.com. This Shark Tank winning invention makes egg decorating easy and mess-free. 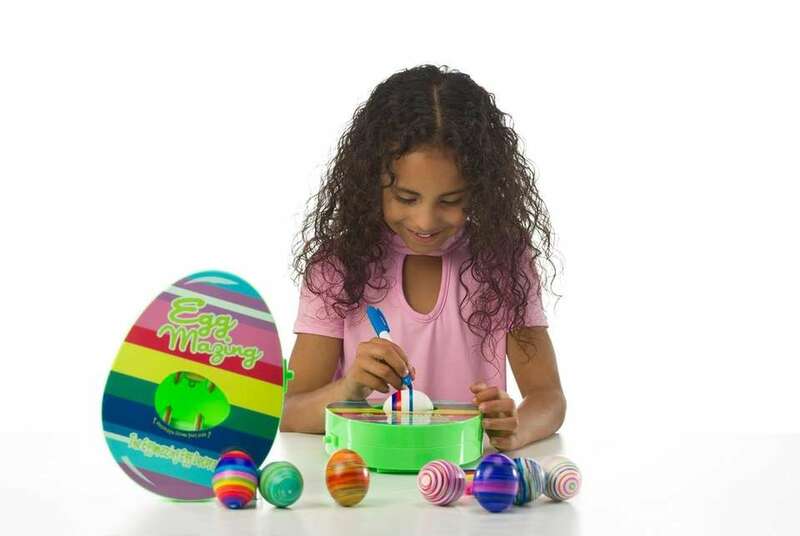 Simply place a hard-boiled egg into the machine, which spins as kids hold a marker to create stripes or other designs. The set comes with eight markers; $19.99 at eggmazing.com. Inside the dinosaur egg lives a surprise mini Dinosheen plush, with eight to collect in all. For ages 8 and older; $9.80 at heychickadee.com. 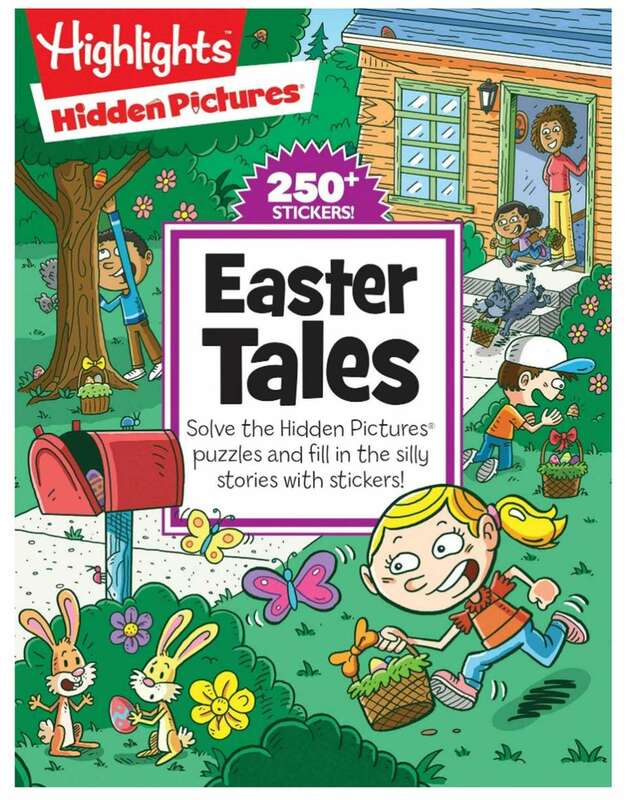 This fill-in-the-blank book features Easter-themed hidden-object puzzles and clue stickers for kids to create their own stories. For ages 6 and older; $5.99 at highlights.com. 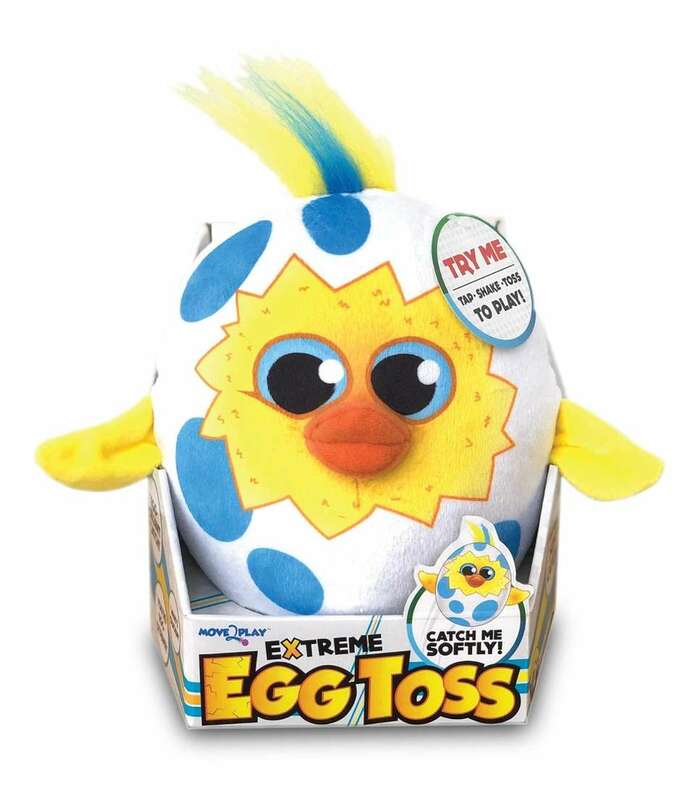 Play the classic egg toss game without making a mess with this new soft toy. It features sensors that recognize how softly it's caught and includes more than 40 phrases, such as "Watch the shell!" 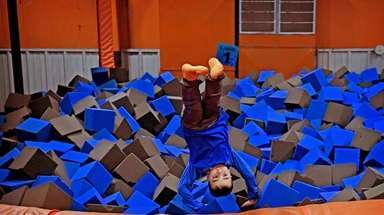 and "I'm getting dizzy." For ages 3 and older; $19.99 at move2play.com. 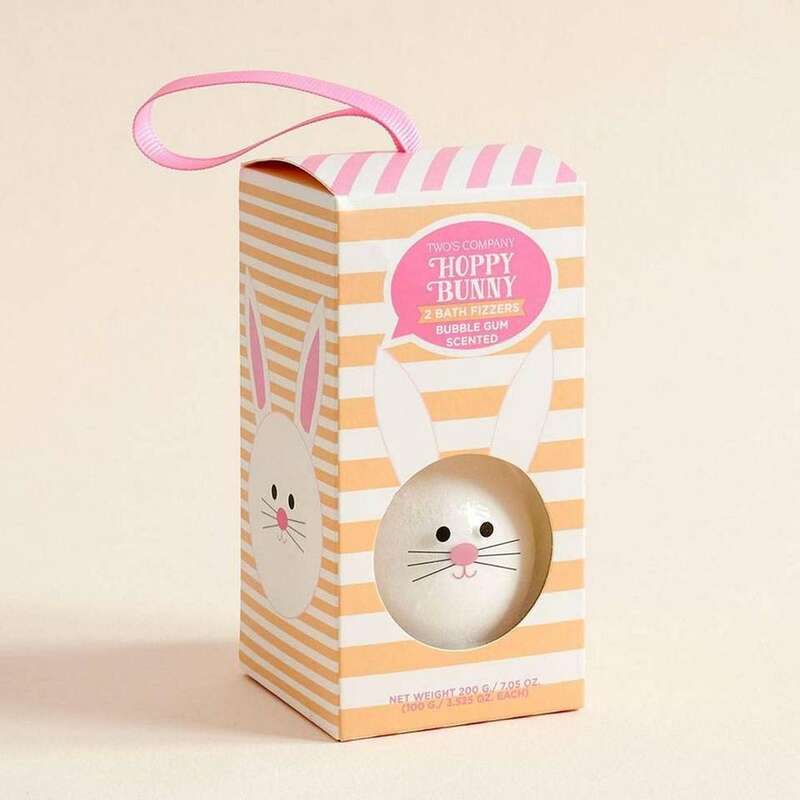 Kids can paint and decorate their own Easter Bunny squishy. 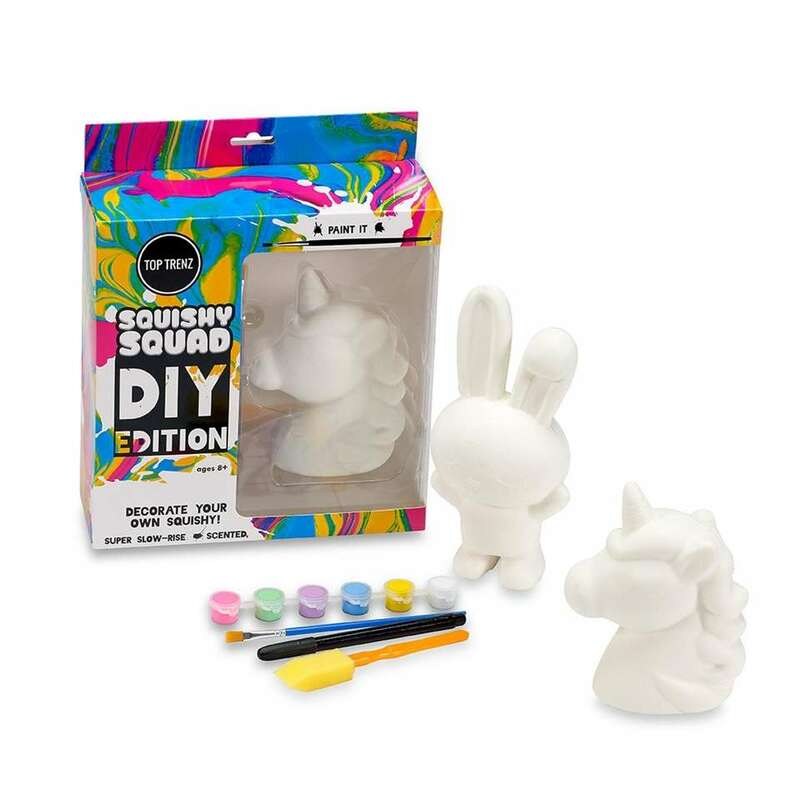 The set comes with a white slow-rise squishy toy, pastel paint and brushes; $17 at toptrenz.com. 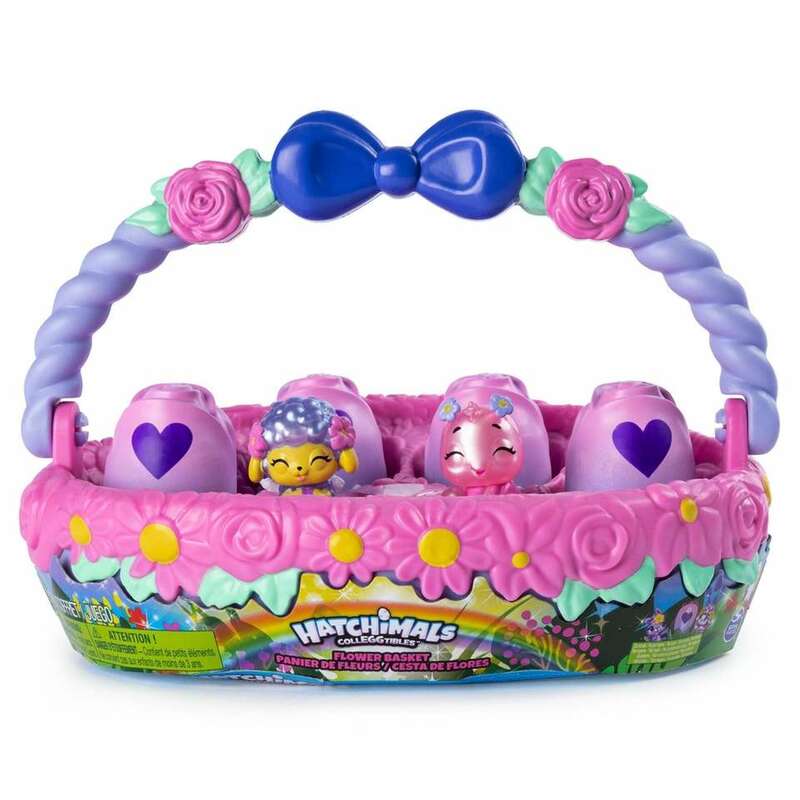 This springtime basket features a foldable handle and four violet-colored eggs that look like roses. Press the purple heart on the egg to reveal Colleggtible figures with wings and flower crowns. The set also comes with two Colleggtible characters out of the egg. For ages 5 and older; $14.88 exclusively at Walmart stores and walmart.com. 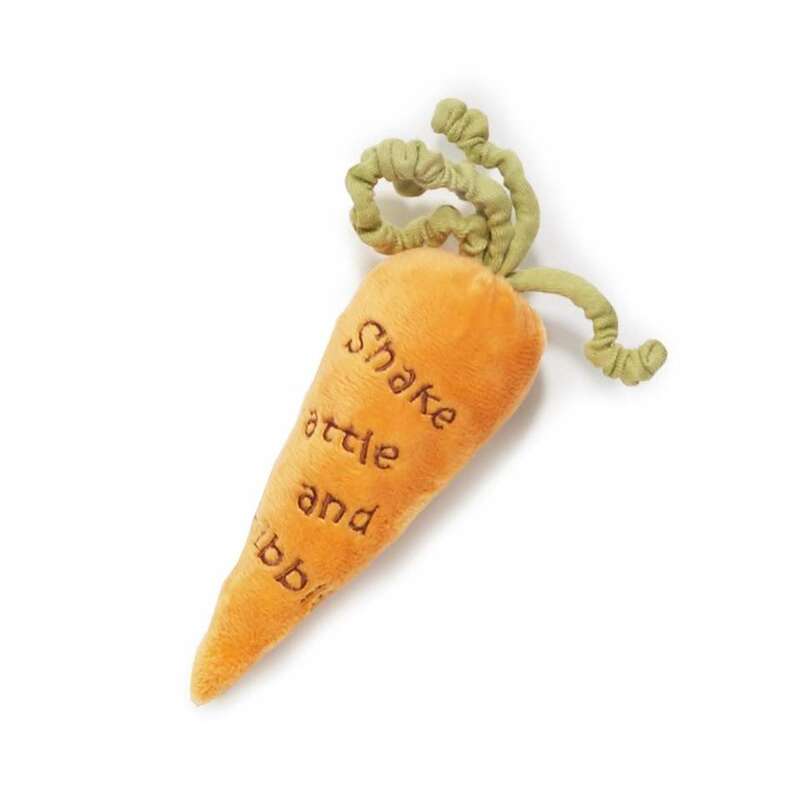 Entertain your little bunny with this bright orange carrot rattle, which is embroidered with the words "shake, rattle and nibble." It also features green crinkly leaves and is machine washable; $9.95 at bunniesbythebay.com. 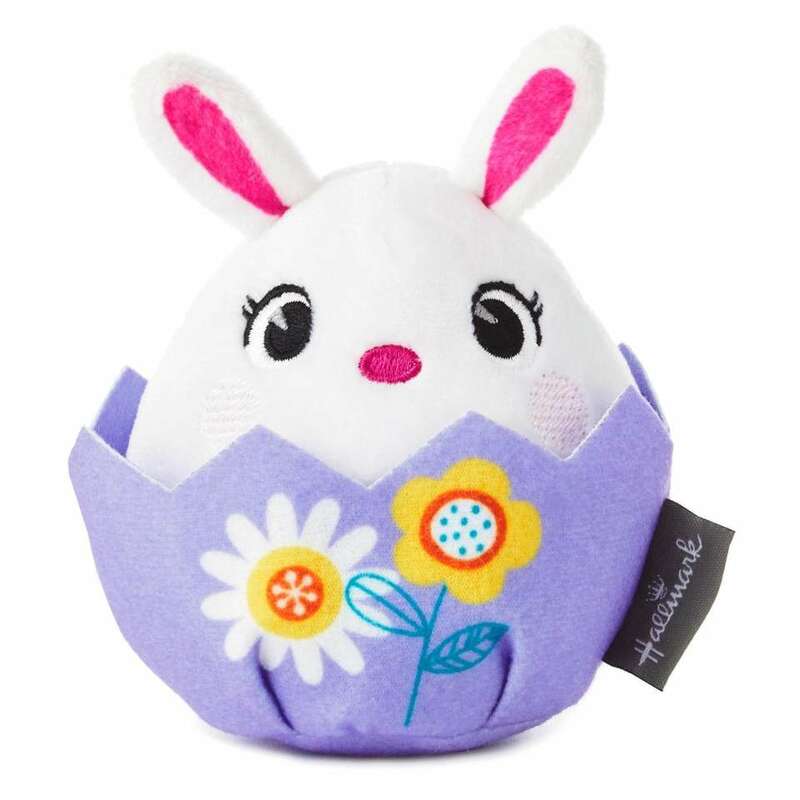 With a simple pull of a string, this stuffed Easter bunny will scoot across the floor; $8.99 at Hallmark stores and on hallmark.com. These plush pets are looking to be rescued and groomed. Kids can pluck out their "fleas," brush their messy fur and tie on a ribbon collar. The plastic crate the pets come in can turn into the pet's bed, carrier or house, which can be decorated with the included stickers. 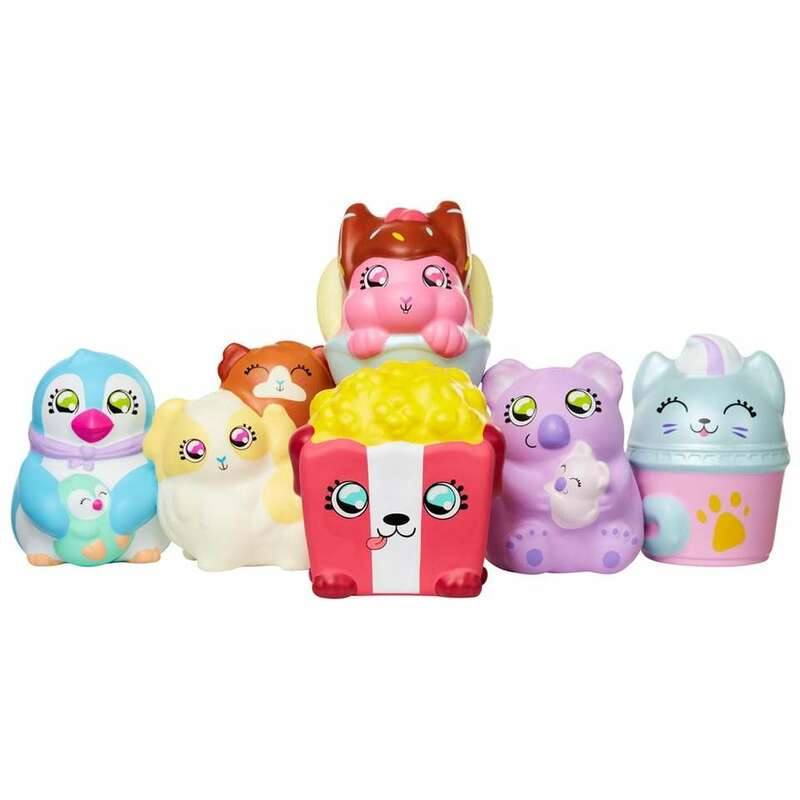 There are more than 20 to collect, including cats, dogs, wild animals, unicorns and more; $9.99 at Walmart stores and walmart.com. 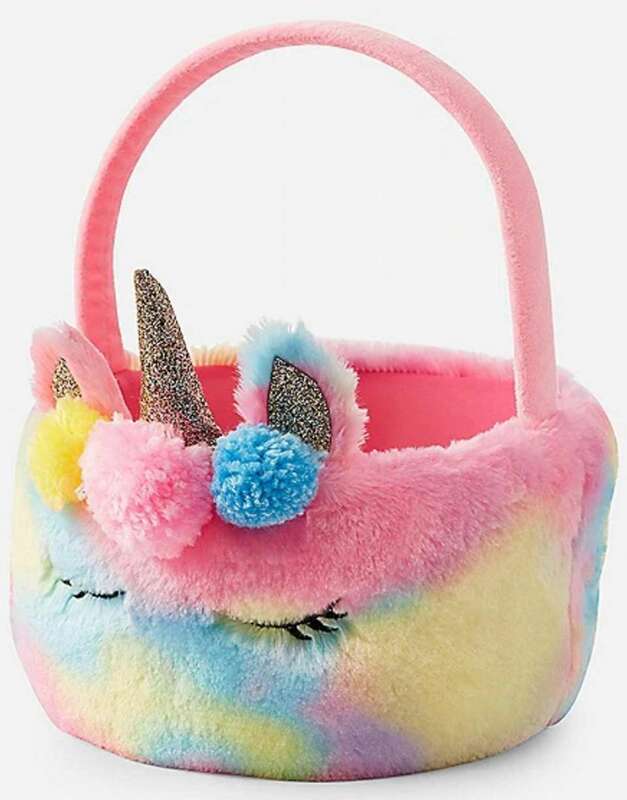 Unicorn lovers are in for a treat with the soft faux fur basket that will bring a bit of magic to Easter; $14.99 at shopjustice.com. Press this animated bunny's left foot to play peek-a-boo or her right foot to hear the song "Do Your Ears Hang Low." 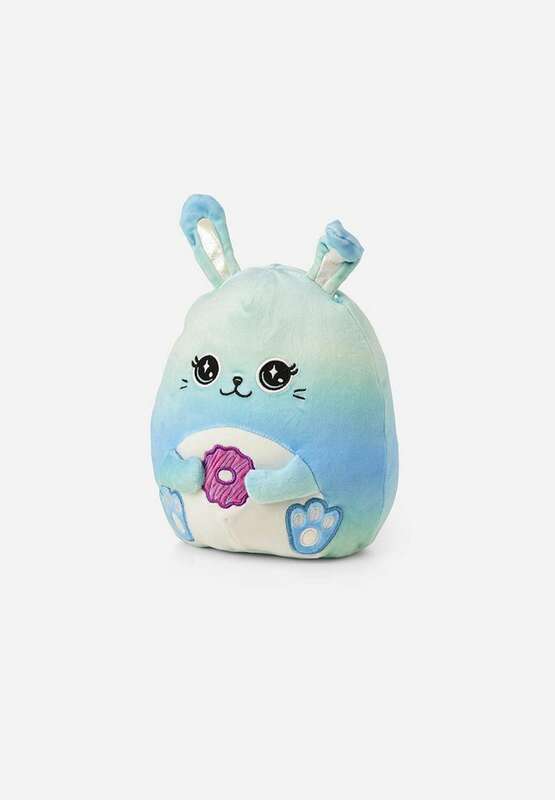 Her ears flap and move as kids interact with her; $40 at gund.com. 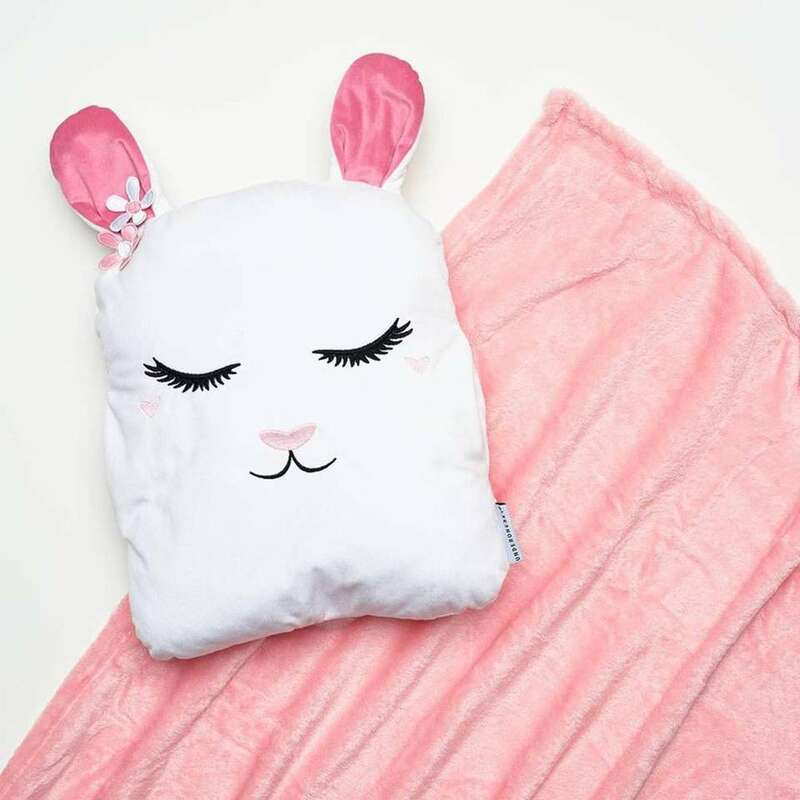 This adorable bunny pillow comes with a fuzzy pink blanket, which can be stored inside the pillow; $34.95 at papersource.com. 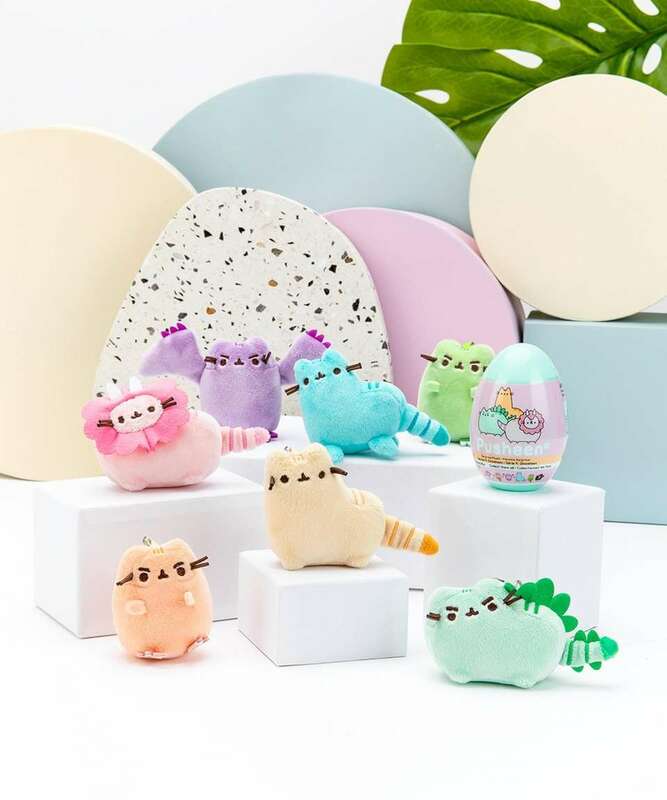 These interactive collectible pets will wiggle their tails, flop their ears and move toward the included sugary treat. Simply hold their treat above to make them hop, behind to make them sprint or to the side to make them dodge. There are 20 characters to collect, including Cake Pop Coast, Lollipop Lake and Marshmallow Meadow; $14.99 at spinmaster.com. 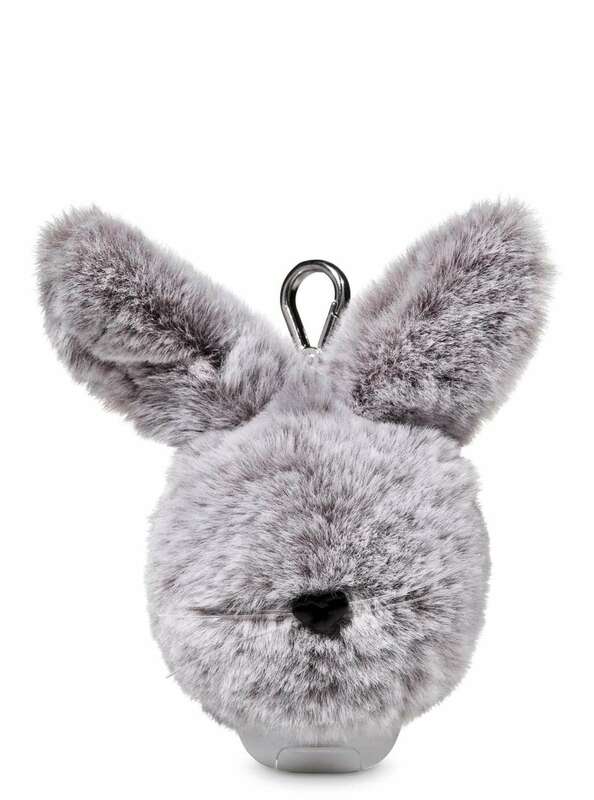 This sound activated plush toy responds to yelling, talking, singing, clapping and more. The louder kids yell, the faster they move. The bunny's legs move and eyes light up. For ages 5 and older; $14.99 at yellies.hasbro.com. Inspired by Pixar's "Toy Story," these small figures walk across any flat surface after pressing its head 10 times. The collection includes Woody, Buzz Lightyear, Rex, Bo Peep and Alien. For ages 3 and older; $12.95 at shopdisney.com. Each Lil' Gleemerz baby has a rainbow tail and big bright eyes. Push its nose and its belly will light up with rainbow colors. Each baby responds to movement and makes more than 25 baby noises. For ages 5 and older; $7.99 at shop.mattel.com. 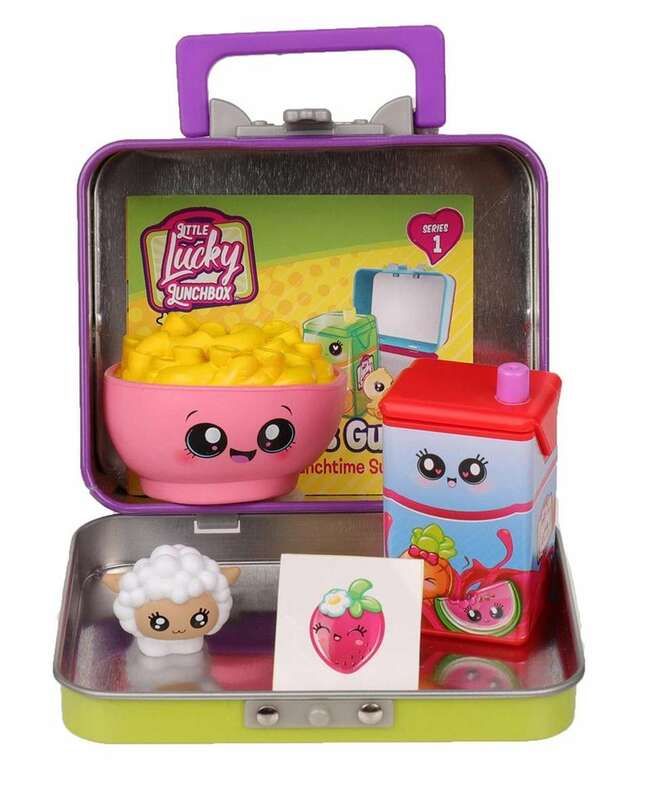 Each Little Lucky Lunchbox includes two blind-packed Food Friends, each with another surprise hidden inside (a Little Foodie and a sticker). Mix, match and collect to create a cute little menu; $5.99 at basicfun.com. 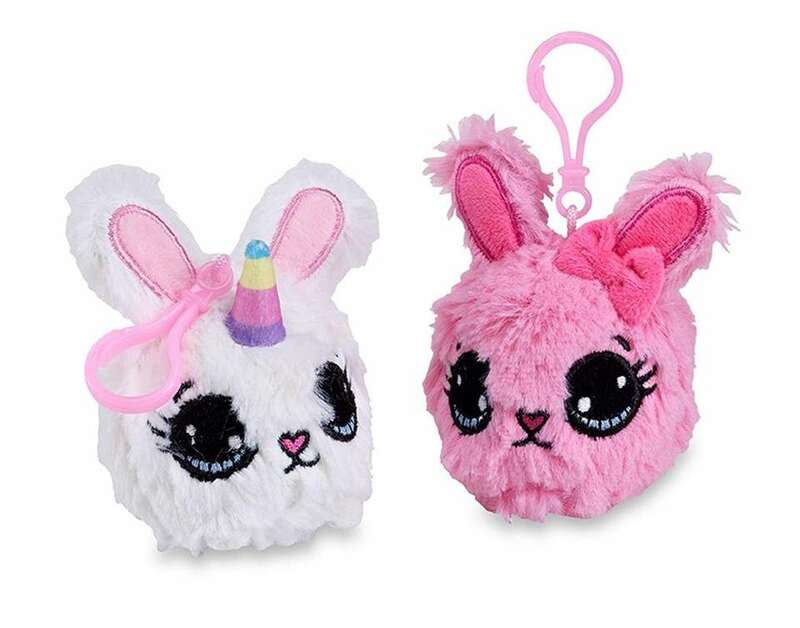 Hand sanitizer deserves some Easter love with this Bunny Pom Pocketbac Holder, that can hold any Bath & Body Works antibacterial Pocketbac; $8.75 at bathandbodyworks.com. 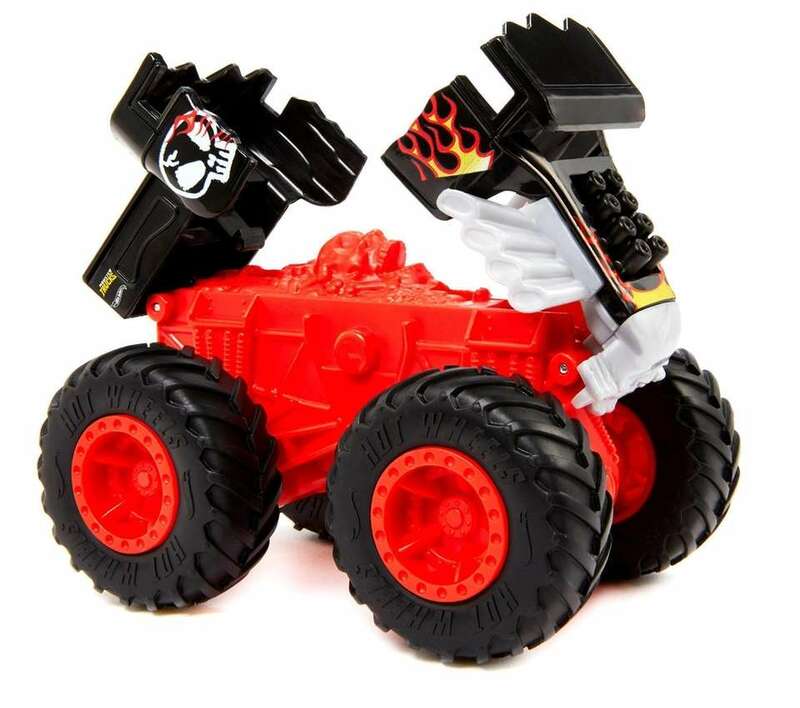 These monster trucks are made to be destroyed as kids crash, smash and rebuild. Each truck comes with a guide of special attack plans and more. For ages 3 and older; $8.99 at hotwheels.mattel.com. 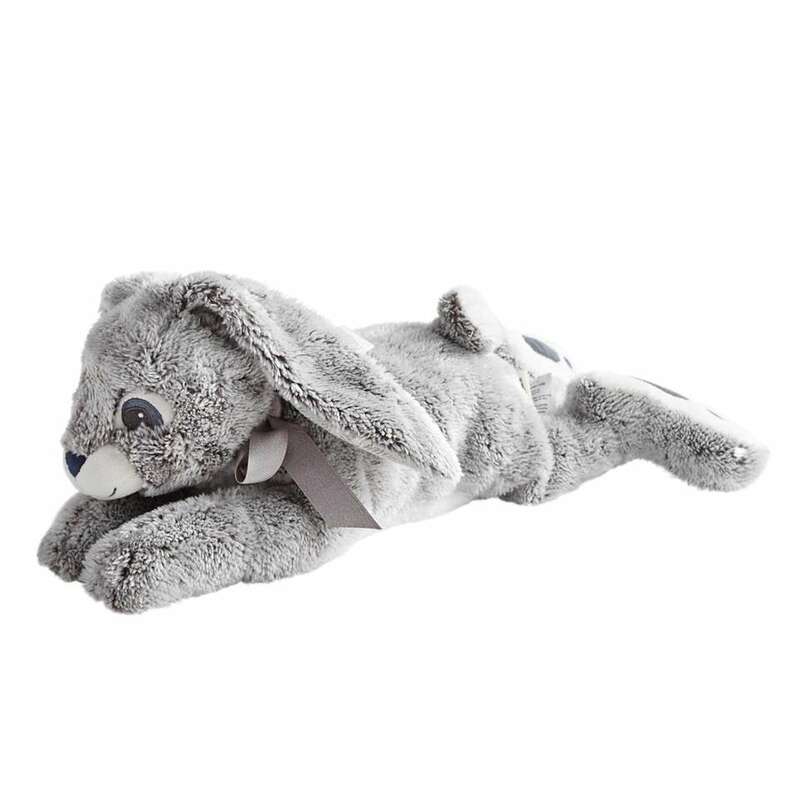 This pillow-like bunny will become any kid's favorite. It's soft like a marshmallow and smells like vanilla bean; $34.90 at shopjustice.com. Two fizzy critter bath bombs come in each decorative box. Not only will they bring fun to bath time, but they smell like jelly beans; $12.95 at papersource.com. The Miniacs are smaller versions of Brumblies, with the grumpy faces and colorful hair. There are 12 different characters to collect. For ages 5 and older; $3.99 at grumbliesmeltdown.com. 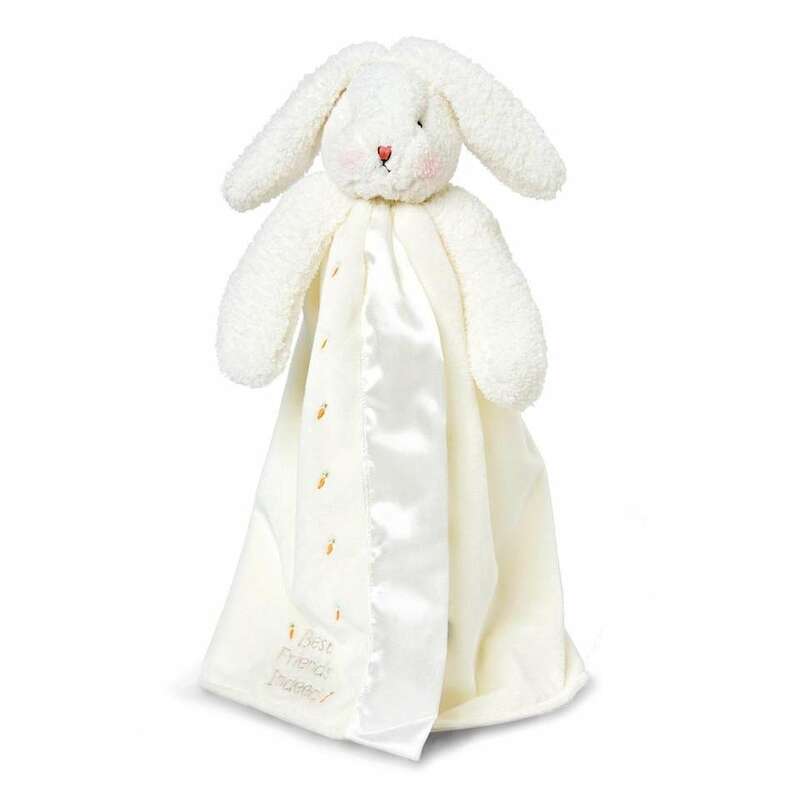 A little cuddle buddy just in time for Easter, this plush floppy-eared bunny features a velour blanket lined with satin. It also features mini carrot and an inscription "Best Friends Indeed." Customize it with your own message, as well; $24.95 at bunniesbythebay.com. 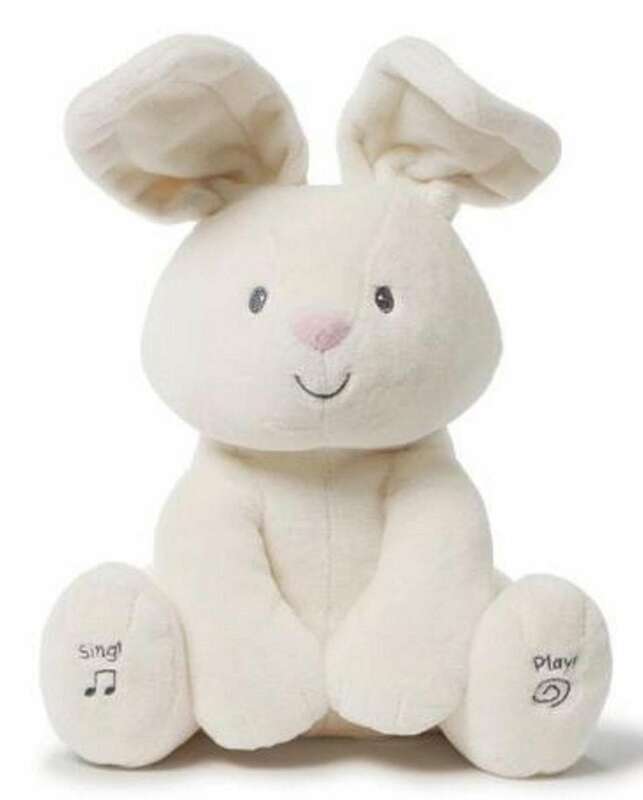 Harrington is a polyester plush bunny with big floppy ears; $19.99 at Pier1.com. 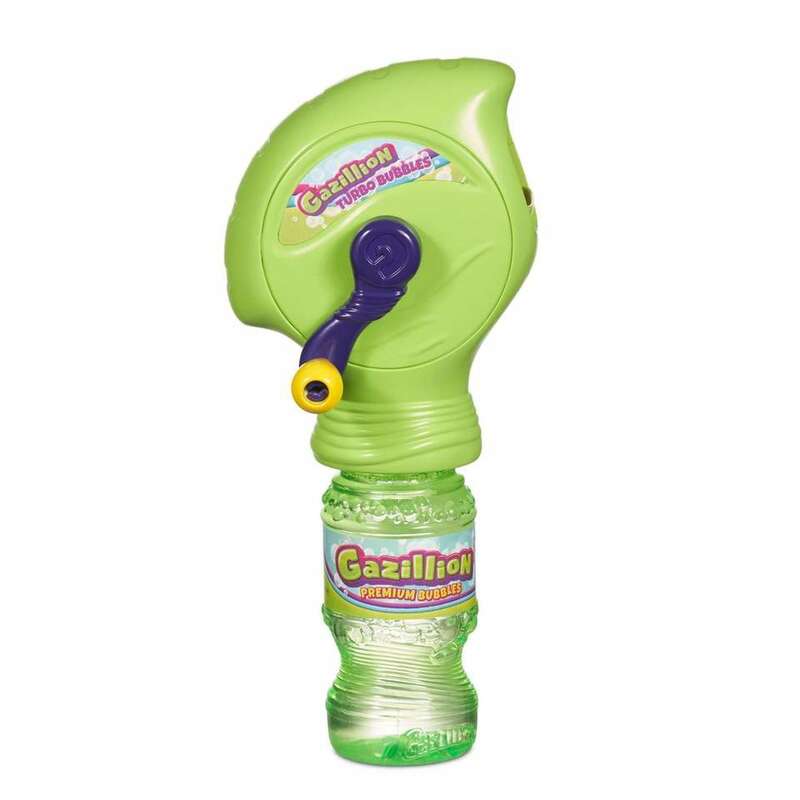 Use the handle to crank out the bubbles with this fun blaster. It comes with a 4 oz. bottle of Gazillion Premium Bubble Solution. For ages 3 and older; $4.99 at gazillion.funrise.com. Each Wonder Chimp, from the new animated movie "Wonder Park," come hidden in a bag with a Coaster Car. There are 30 different figures to collect. The cars can connect for even more fun. For ages 3 and older; $2.99 at wonderpark.funrise.com. 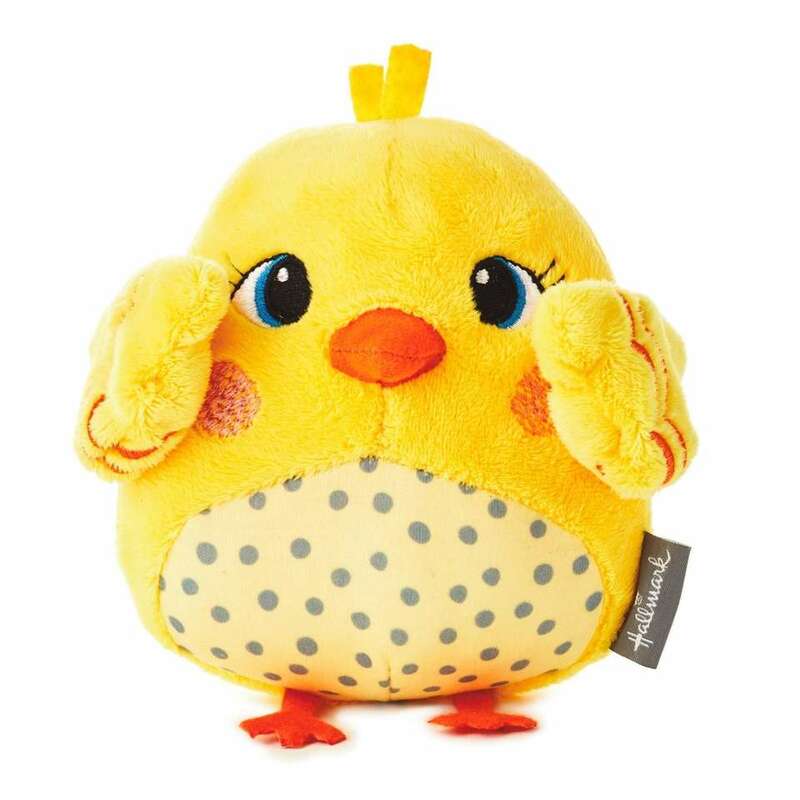 Squeeze the tummy of this bright yellow chick and its wings will flap; $12.99 at Hallmark stores and Hallmark.com. 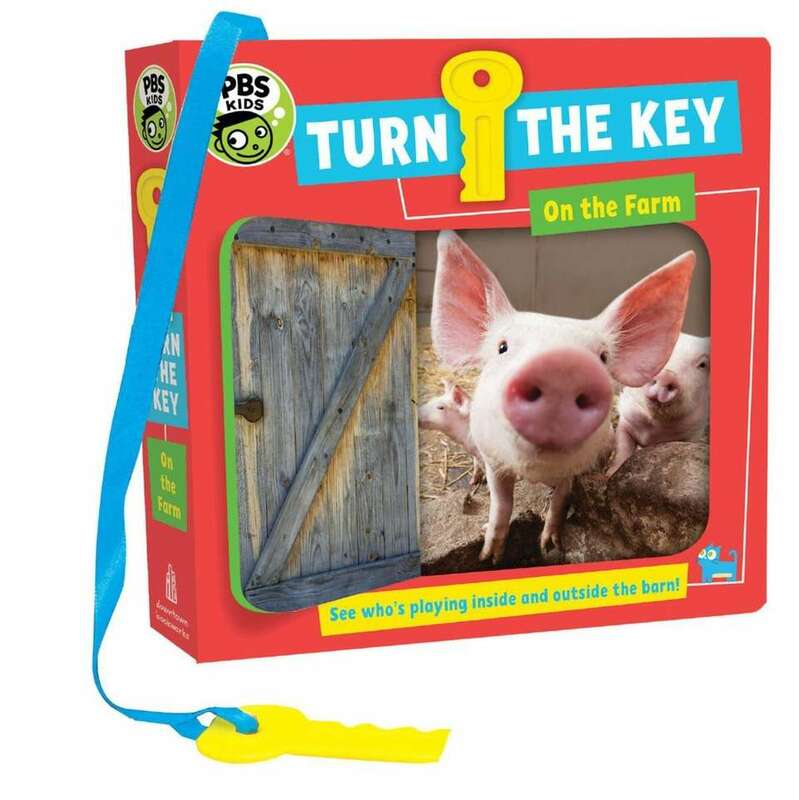 "PBS Kids Turn the Key: On The Farm"
This interactive book by Julie Merberg features a plastic key that kids can use to open six locks and get a glimpse inside a chicken coop, pigsty, barn and more. For ages 3 and younger; $12.99 at dtbwpub.com. 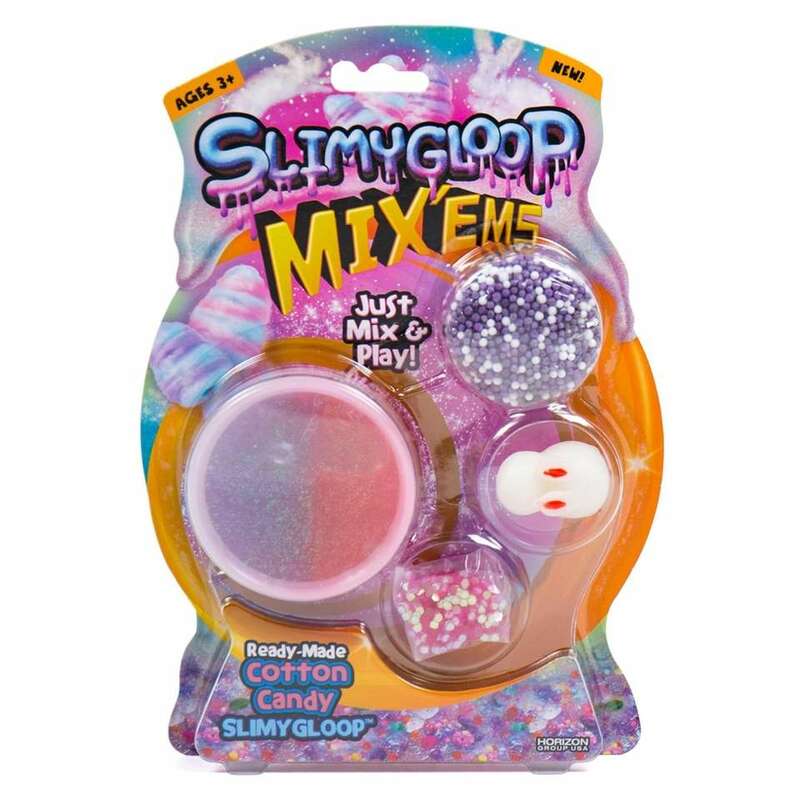 Transform slime by folding in Styrofoam balls, hexagon glitter and a squishy bunny to create fun textures, colors and sparkles. For ages 3 and older; $4.99-$6.99 at amazon.com. 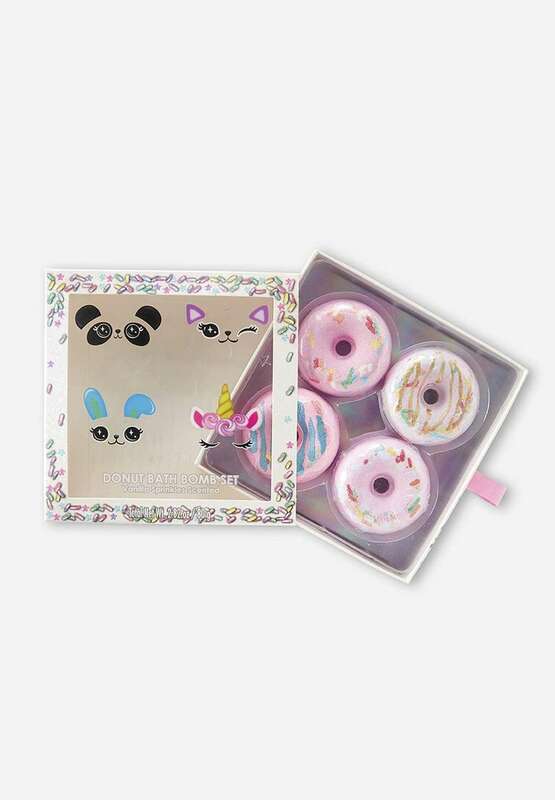 This four-pack of donut-shaped bath bombs feature a vanilla sprinkles scent; $12.90 at shopjustice.com. 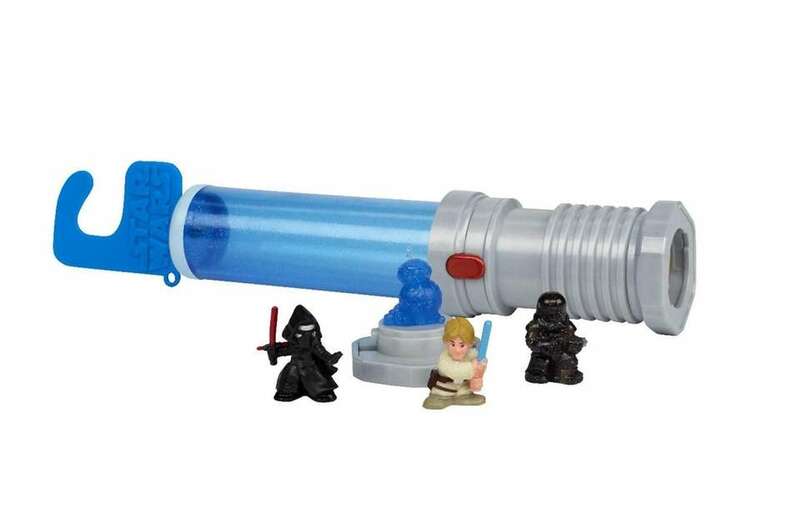 Open the lightsaber blade to reveal small-scale figures from "Star Wars" along with a sticker sheet. Each set includes four collectible figures; $7.99 at shop.hasbro.com. 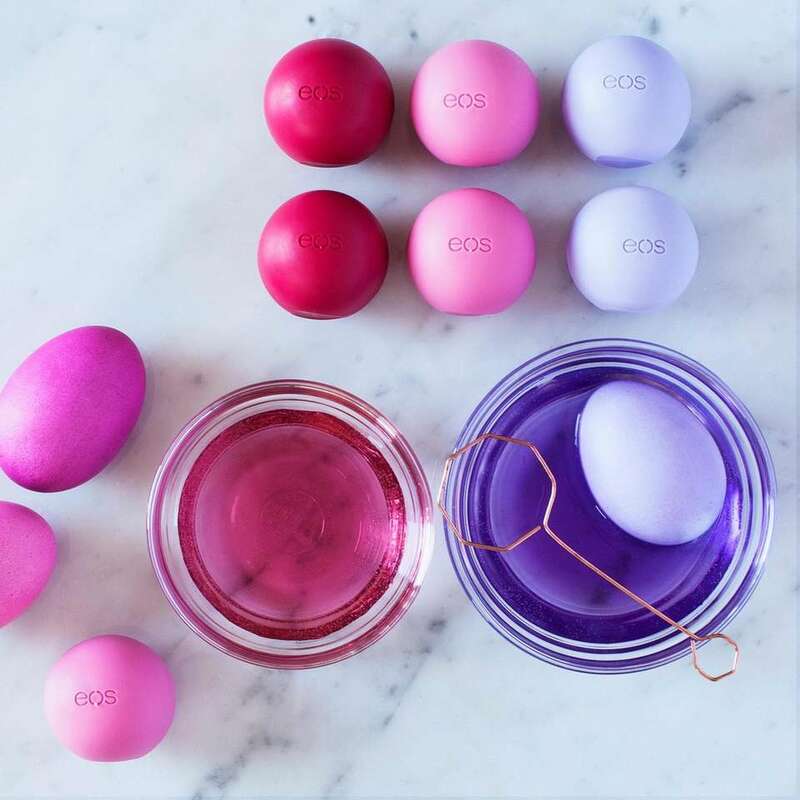 Eos moisturizing lip balm comes in strawberry, sweet mint, mango, pomegranate, raspberry and tropical flavors; $3.29 at evolutionofsmooth.com. These vehicles feature a collectible twist. 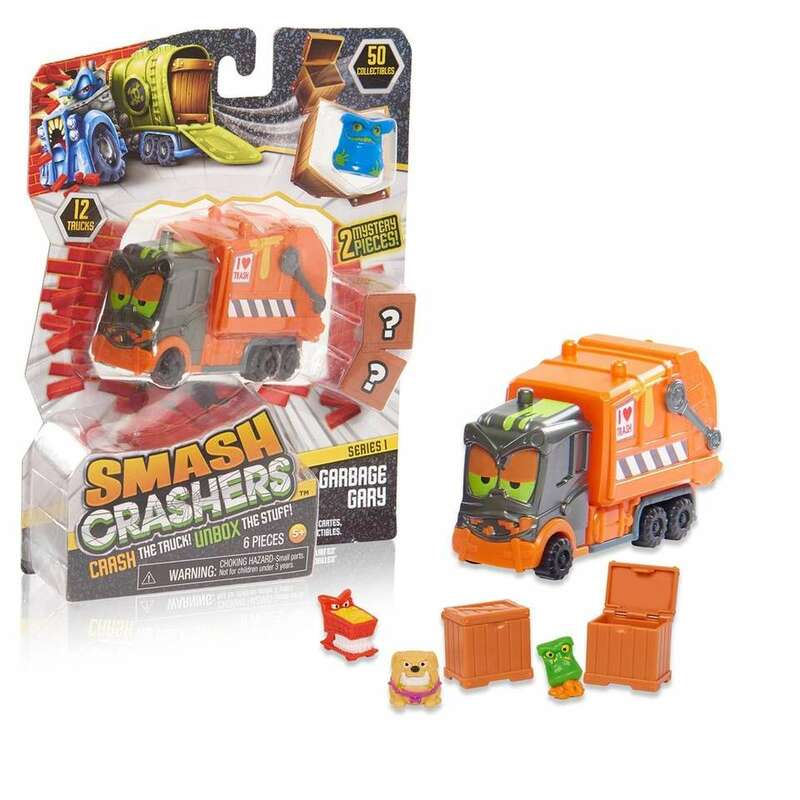 Crash the trucks to reveal two mystery crates, each containing surprise collectibles hidden inside, as well as a bonus collectible. There are 12 trucks to collect and 50 unique figures to collect, based on gross-out themes such as Bathroom Brigade, Grossout Garage and more; $6.99 at justplayproducts.com. 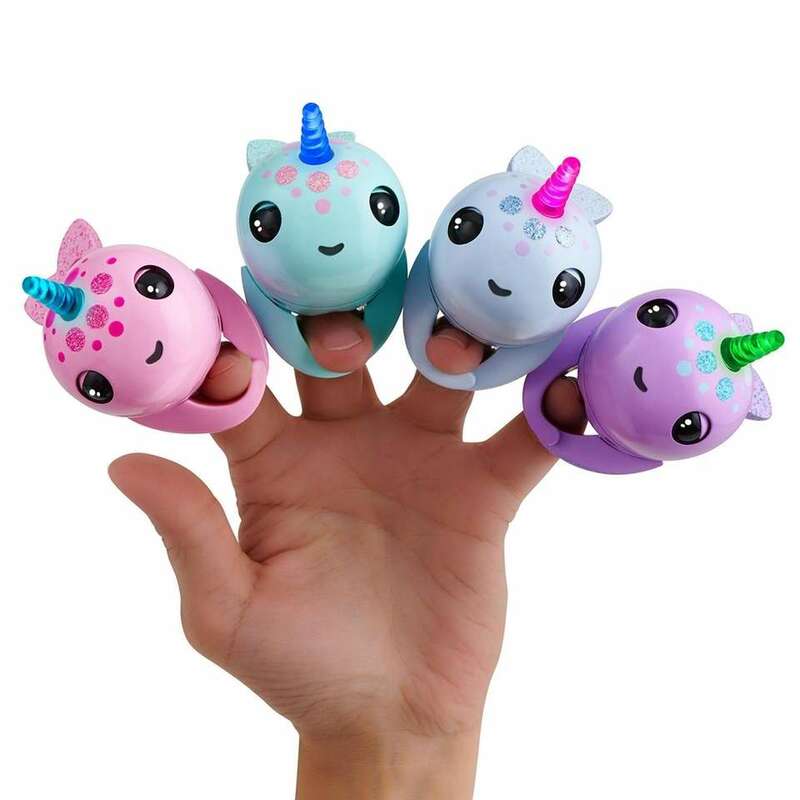 Narwals, or unicorns of the sea, are the newest Fingerling characters. 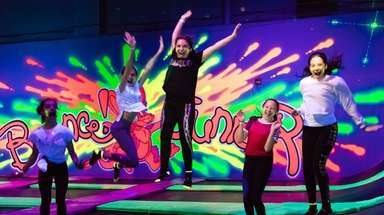 They feature new motion sensors and a mood horn that lights up in different colors depending on the interaction. Pet the Narwals to see their tails flap and eyes blink. Kids can press them against their cheeks and the figures will kiss them. 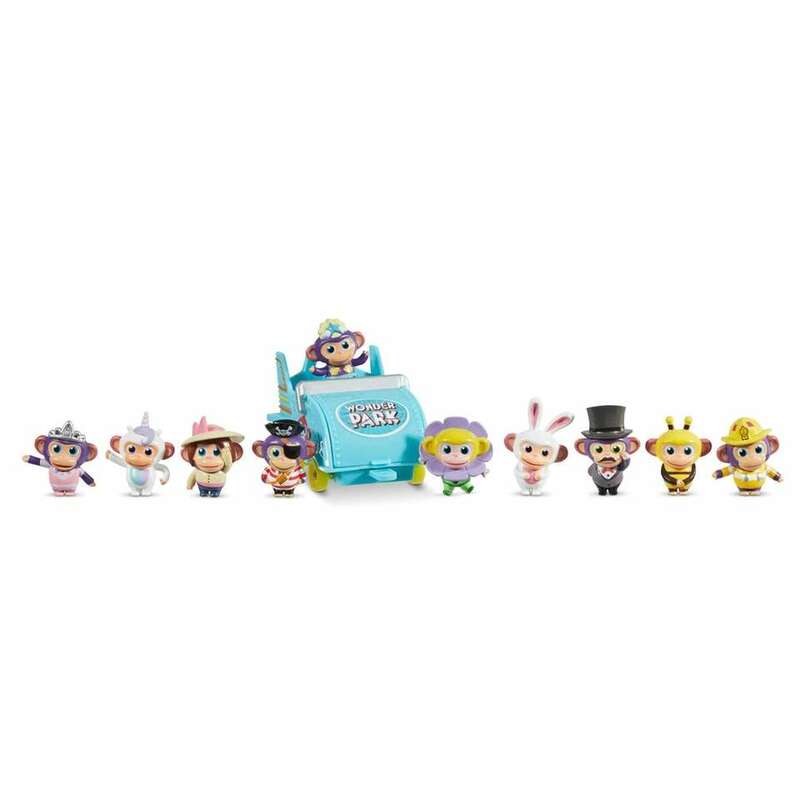 For ages 4 and older; $14.99 at fingerlings.com. Store change, chapstick, hair accessories and other small things in this cute silicone coin purse. 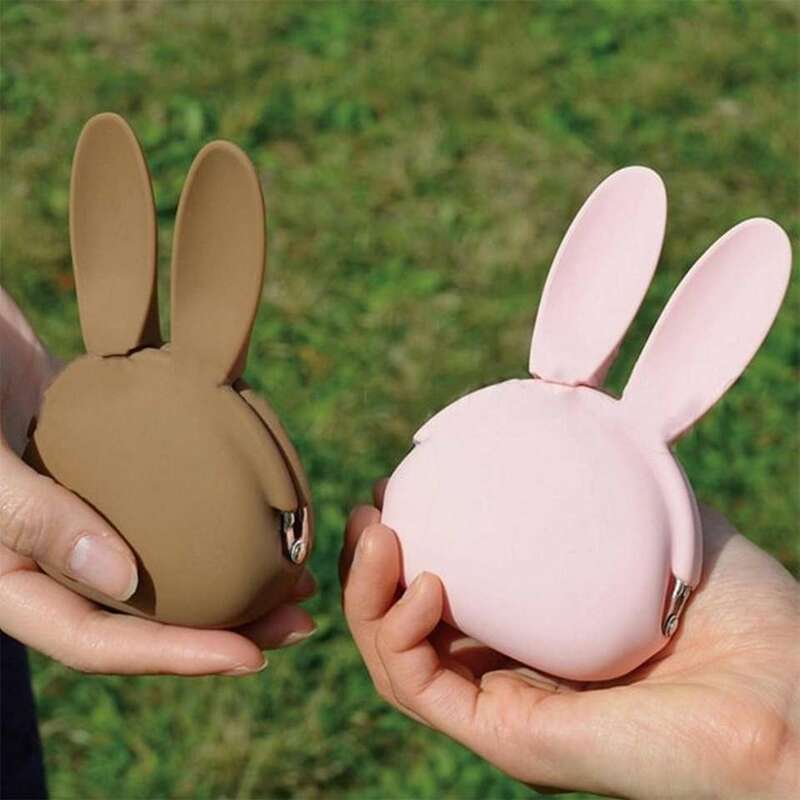 Use the bunny ears to open; $24.99 at theapollobox.com. 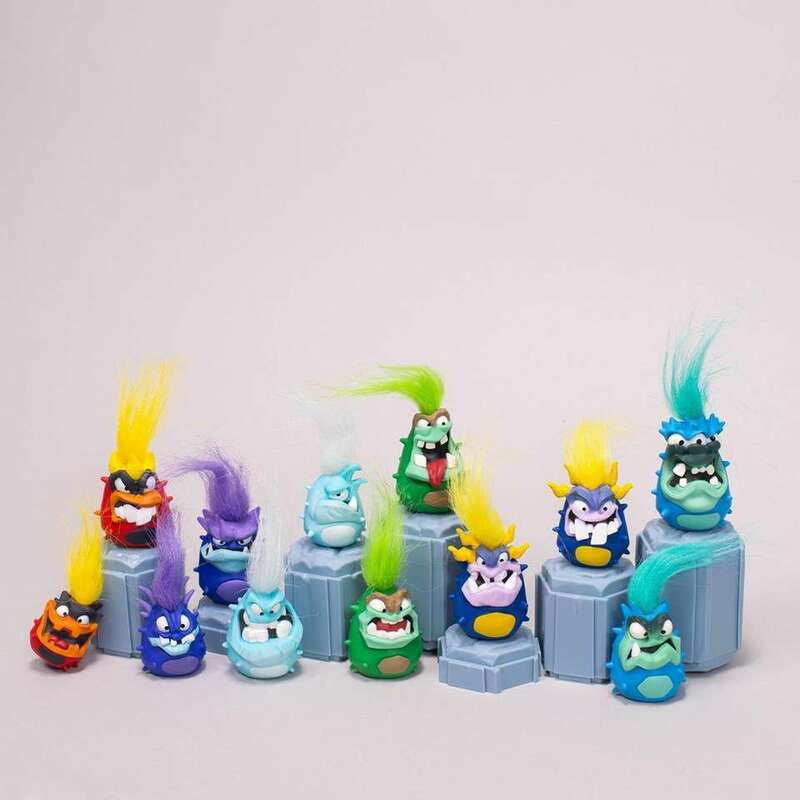 The popular slow-rising squishy collectibles come in jumbo size, packed in a blind bag with brand new characters; $14.99 each at jakks.com. Tucked inside the jewelry box are two wearable, super-stretcy collectibles. The characters can be worn as rings or hair ties, can decorate pencil boxes, backpacks and more. There are 25 characters to collect; $3.99 at basicfun.com. 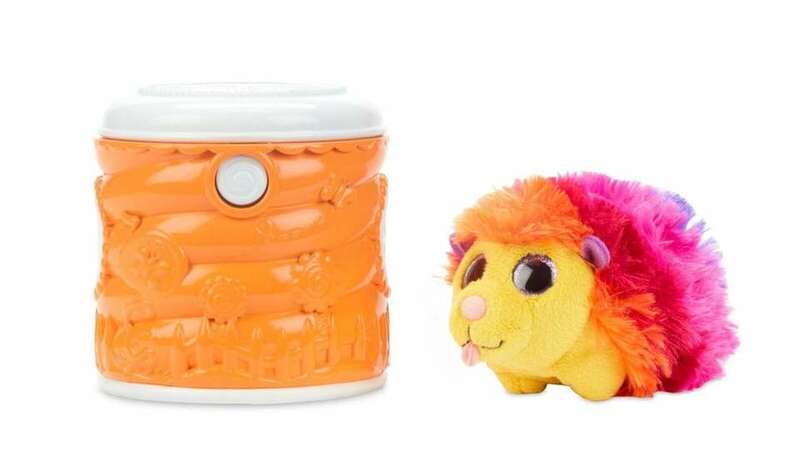 Kids can have fun putting the colorful quills back into Spike, the hedgehog, and can be stored within when playtime is over. The toy is good for developing counting, sorting and color recognition. For ages 2 and older; $14.99 at learningresources.com. 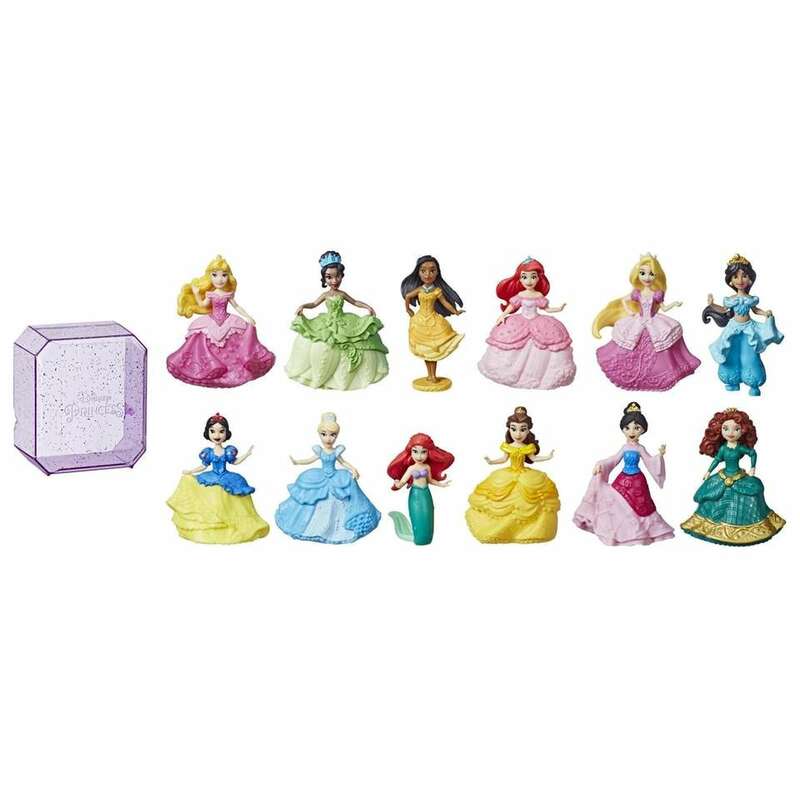 Open the gem-shaped package to reveal the Disney Princess in this surprise collectible toy. Flip the inside piece and slip it into the case to create a background, which is special for each figure; $3.99 at shop.hasbro.com. 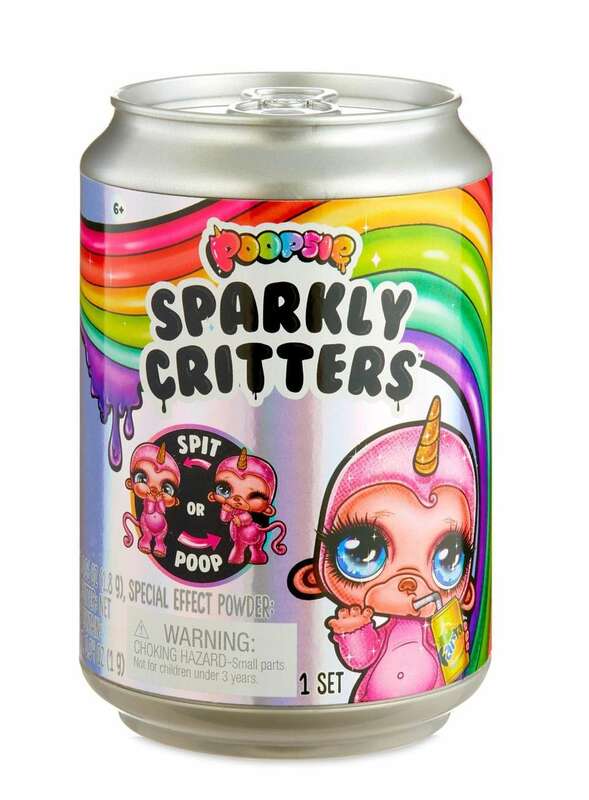 Open up the soda can package to find a Sparkly Critter and other magical surprises. Create slime and add water to their unique drink to find out if they spit or poop. 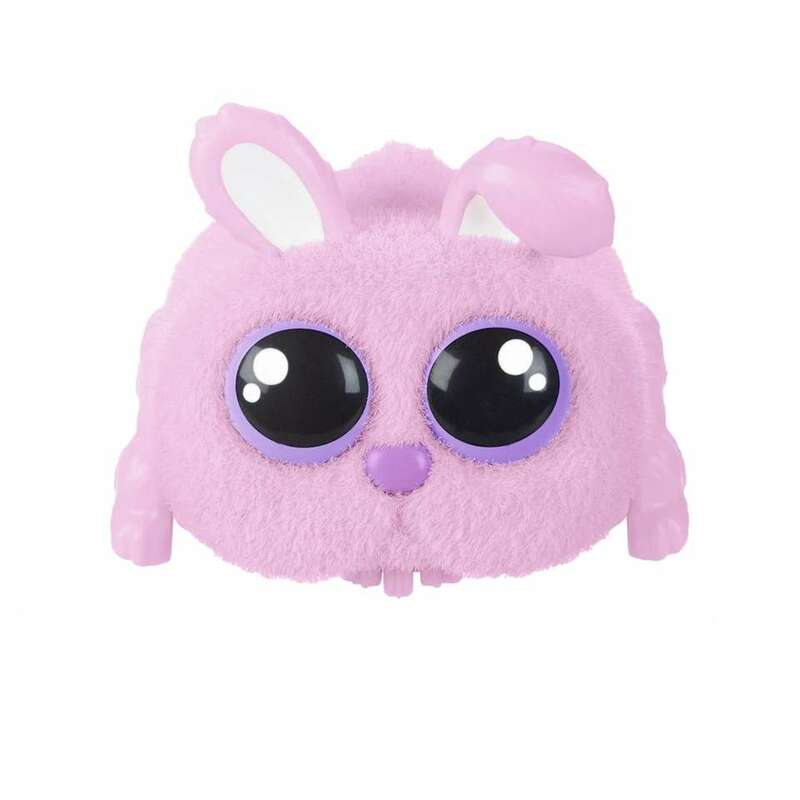 There are 16 critters to collect; $14.99 at poopsie.mgae.com. 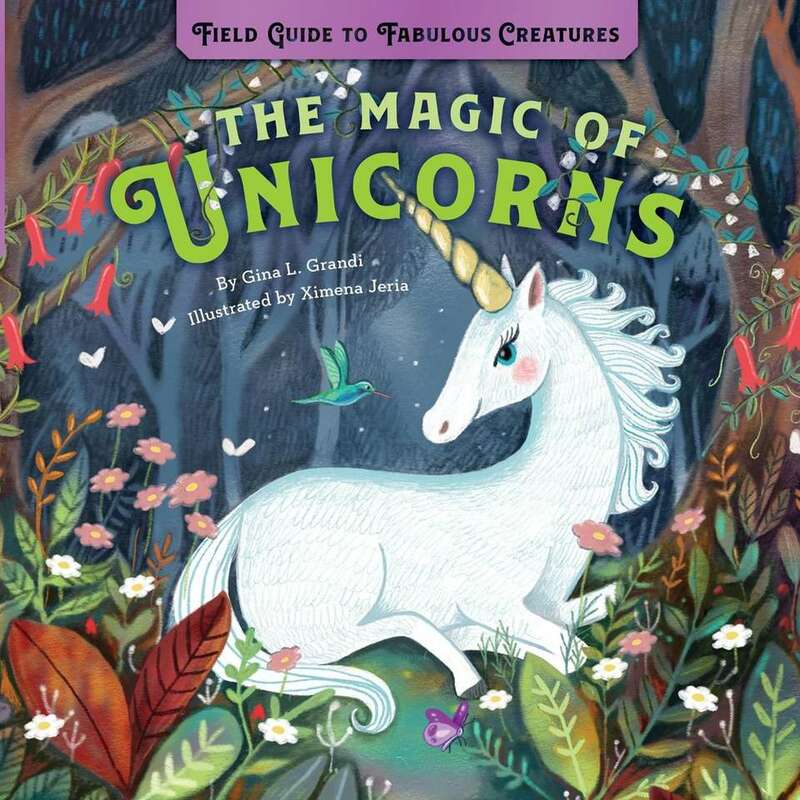 Unicorns, like many other mythological creatures, have their own folklore and tales that you can find in this book. For ages 6 and older; $17.99 at dtbwpub.com. 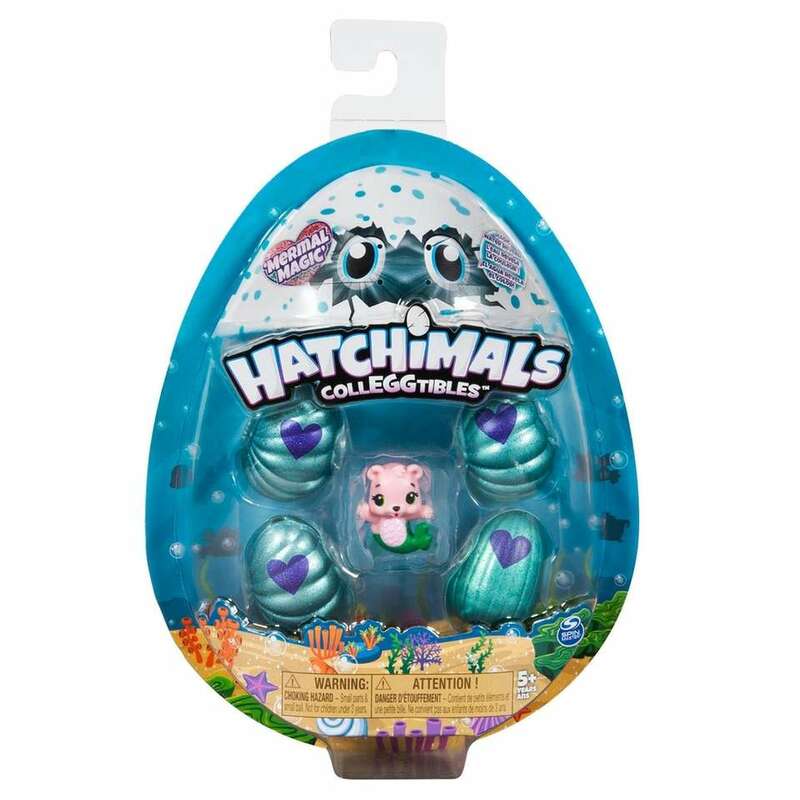 The new line of Hatchimals Collegtibles come in seashell-shaped eggs and feature Mermal Magic characters that change color in water. There are more than 80 Mermals (half-Hatchimal, half-mermaid) characters to collect, including Sunshine Surf, Mischief Marsh, Raching River and more. The sets come in packs of one, two, four, six and 12, as well as a Coral Castle playset; prices start at $2.99 at spinmaster.com. Kids can build their own Ryan's World figues with the Build-a-Ryan surprise eggs, based on the popular YouTube channel. 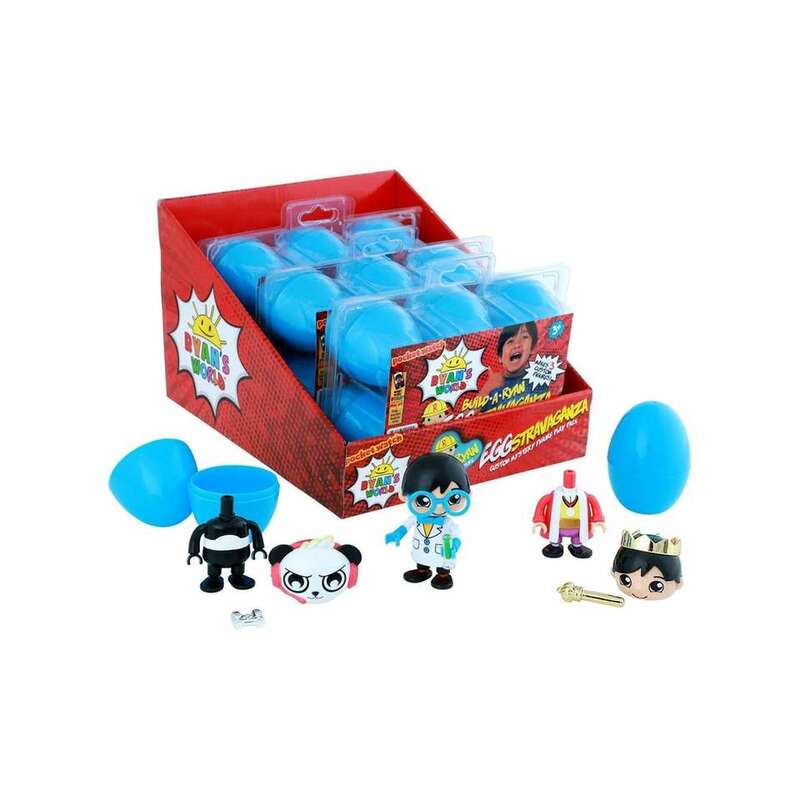 Three buildable figures, which may include Alien Ryan, Robo Ryan, Combo Panda or Red TItan, come with each egg. 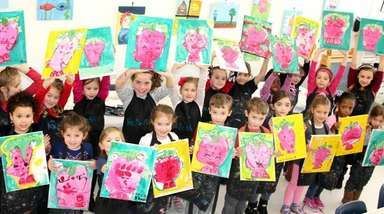 Kids can also create their own characters. For ages 3 and older; $12.99-$14.99 at bonkerstoys.com. 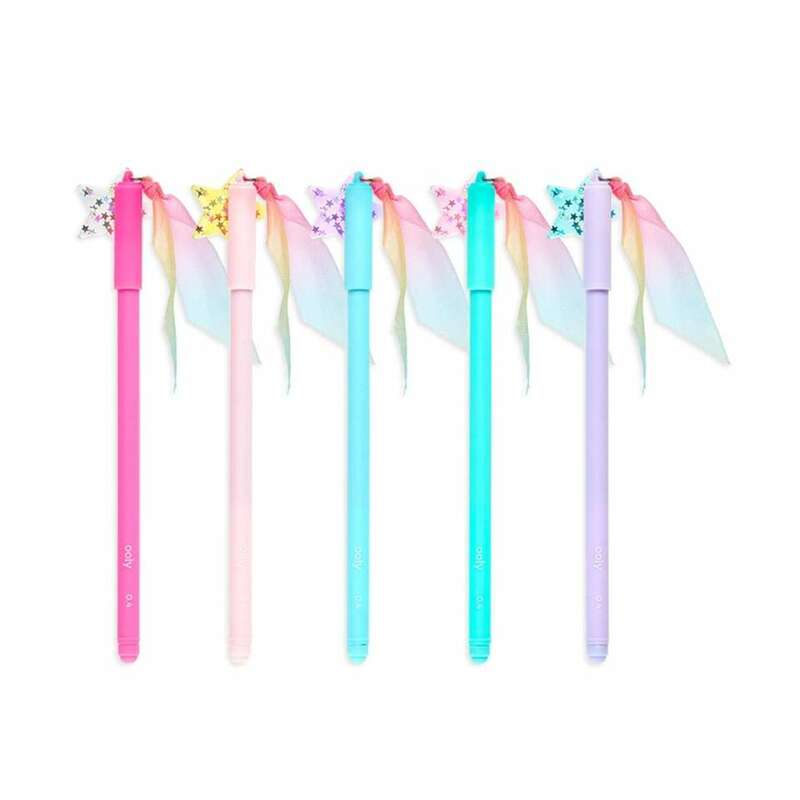 Fine point gel pens perfect for precision writing or drawing are decked out with rainbow ribbon for extra magic. For ages 6 and older; $1.99 each at ooly.com. How to make Ukrainian Easter eggsAs Easter approaches, Ukrainians decorate traditional eggs using dyes and a beeswax called Pysanky to create works of art that can last for years. 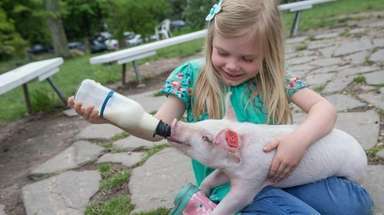 (Credit: Newsday / Chris Ware) 35 family-friendly things to do this spring on LI Great spots to plan a fun day outdoors. 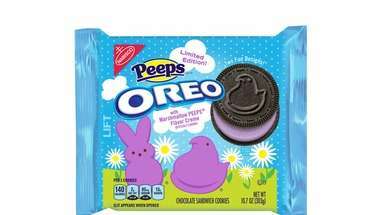 New Easter sweets and treats to try nowGreat options for filling up kids' baskets this year.